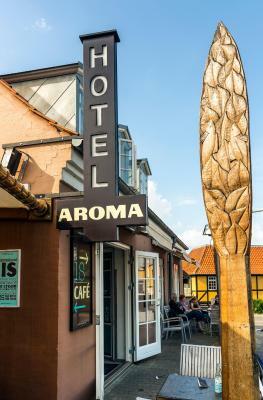 Lock in a great price for Hotel Aroma – rated 9.1 by recent guests! Owner was warm and wonderful-Rooms clean, modern, super comfortable beds and excellent bathroom. Sharing a bathroom with one other room was a first for us, and it turned out to be absolutely no problem at all. We loved breakfast, and the owner was the best! Cute quirky decor. Spacious room with good view of the town and people arriving off the ferry. 100 meters walk from the ferry. 10 minute walk to opposite end of the town, much shorter to many other shops and eateries. Helpful and polite staff. Big and tasty breakfast. Obviously this depends on who else is there at the same time, but we fortunately had no trouble at all sharing the bathroom with three other rooms. Also the bathroom has a washer and dryer so we were able to save ourselves some clothes washing by hand (we're light packers on a long trip). Hotel Aroma was right off the ferry; excellent homemade ice cream shop and a popular restaurant on sight with the owner working hard as manager and chef. He showed us the delicious licorice candy he was making to sell as well. Our room was comfortable; with shared bath, but we had it to ourselves. Very fine Norwegian breakfast each morning, served by the friendly and helpful owner. He gave us tips for exploring the beautiful town and the whole island, as did others on his staff. The staff is really nice and kind, also can speak really good English :) And the breakfast was so good. Very close to the ferry and bus stop. Excellent breakfast included. Our room had a view of the harbour. It was very close to the ferry port. Delicious food and homemade ice cream. We appreciated luggage storage as we went cycling. The room was spotless. The sofa was converted into a double bed for our four year old daughter. 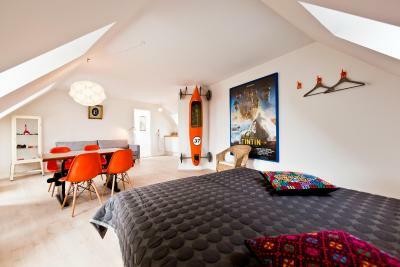 She asked if we could stay for longer, because she liked the room so much (we got the Tintin room). Even with all our gear, there was plenty of space in the room. Breakfast was great.. The kitchen was reasonably well equipped, and there's a supermarket just round the corner. As an added bonus there were a washing machine and dryer available, so we could get some much needed washing done. 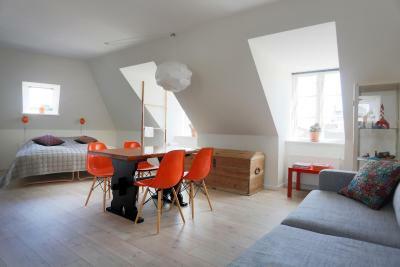 One of our top picks in Ærøskøbing.Opened in April 2013, this hotel is located in central Ærøskøbing on Ærø Island. 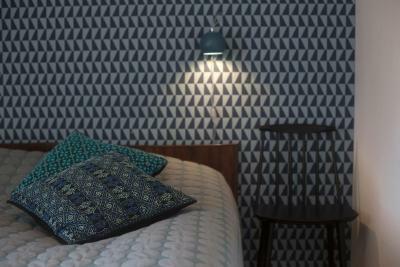 It offers free parking, a roof terrace and brightly decorated rooms and apartments with free Wi-Fi access. All rooms and apartments at Hotel Aroma have access to shared bathroom facilities. 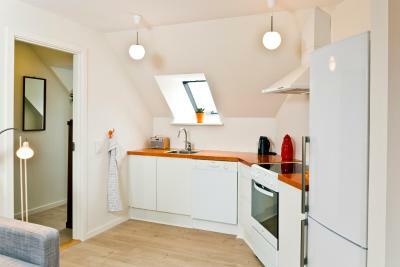 Apartments include a sofa and a well-equipped kitchen. Breakfast is served at Aroma Café on the ground floor. 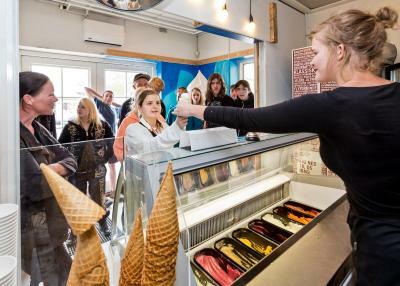 Traditional Danish dishes and home-made ice cream are served from May until September. A fish restaurant is also open during summer. Ærø Island’s free busses stop in front of the hotel. Ærøskøbing Harbor is just 150 feet away. Marstal Maritime Museum is a 20-minute drive from the hotel. When would you like to stay at Hotel Aroma? 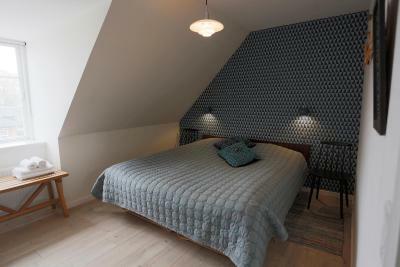 Brightly decorated room with wooden floors, a radio and access to shared bathroom facilities. 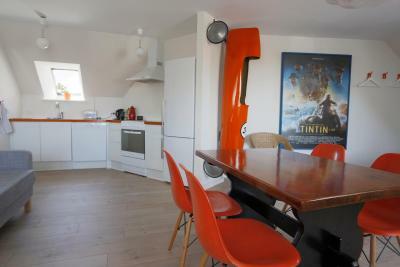 Brightly decorated apartment with a sofa, dining table and a kitchen with a stove, fridge and dishwasher. Bathroom facilities are shared. House Rules Hotel Aroma takes special requests – add in the next step! Hotel Aroma accepts these cards and reserves the right to temporarily hold an amount prior to arrival. If you expect to arrive outside reception opening hours, please inform Hotel Aroma in advance, using the contact details found on the booking confirmation. A colander would be useful in the kitchen, to drain pasta. The hosts were amazing, friendly, thoughtful and helpful. Nothing was too much trouble. The room was as described and had almost everything we needed. Breakfast was simple but fresh and very tasty The location is 100m from the ferry and close to a lovely pub and some relaxing walks to the old town, marinas, the main harbour and some local beach walks. Our lovely hosts, also make fantastic home made ice cream and licorice. There wasn't anything that wasn't just as it should be. We liked the atmosphere and warm welcome we received. Breakfast was outstanding. We also loved the home-made licorice! The location was right next to the ferry port, and also next to the bus stops. Lovely sea views from our room. 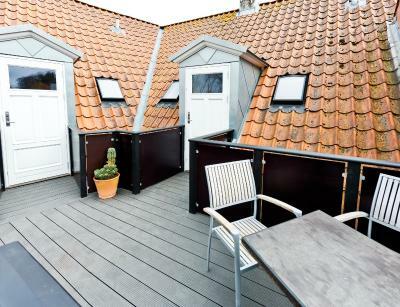 Great location for exploring Ærøskøbing, with lots of great restaurants only moments away. The room we had (the smaller one) is quite small and it can be a bit noisy on the wknds. Great Breakfast and a very friendly and helpful host. 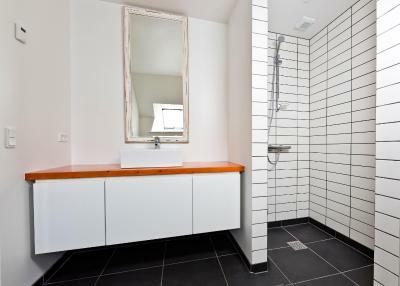 Very clean, modern room and shared bathroom. Not given fresh towels for the second day. 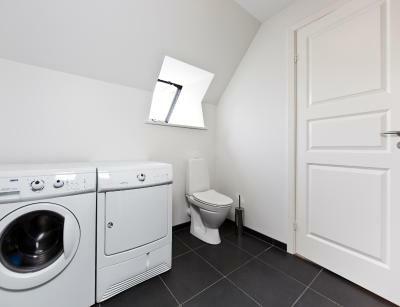 I wasn't sure about sharing a bathroom as it's not something I've done before but the Danish couple In the room next door were really friendly so it wasn't a problem at all. The Aroma is in a perfect location right in the heart of Aeroskoping and just over the road from the ferry. 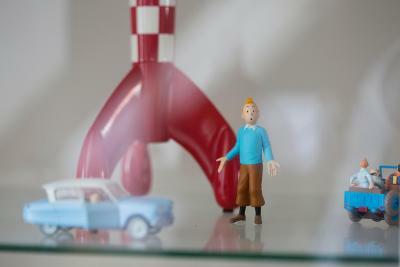 We stayed in the Tintin room which was creatively decorated and felt really unique. The breakfast in the cafe every morning was fantastic and even included some of their famous ice cream! All of the staff were very welcoming and went out of their way to remember little details such as how you preferred your tea in the morning. They even cooked our garlic bread for us when we couldn't figure out how to turn the apartment oven on!! Highly recommended! We already knew about the shared bathroom before we made the booking but it was still quite a hassle when we need to wait for someone to finish using the bathroom before we can use it. In addition, the inside of the kettle was too dirty and despite washing it many times we still could not completely remove all the stain. Oven was also not properly maintained and dirty. It was also difficult to operate. Instead of an oven, microwave should be used instead. The rooms are all on the second floor and there is a flight of stairs leading to the rooms. If you are carrying heavy luggage like us, it would be quite difficult. 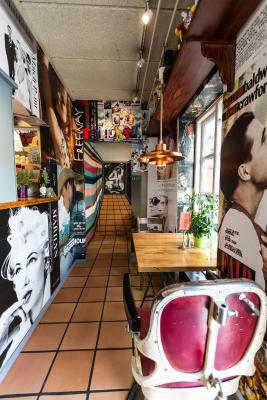 It could also get a little noisy early in the morning due to the fact that the restaurant and popular ice-cream store are just downstairs. Great location as it was the closest hotel we can get once we got out from the ferry. There is also a restaurant downstairs and breakfast was simple but great. The home made ice-cream was delicious as well. Staff are also very friendly. Please note that the check-in counter is in the restaurant. We really wanted private bathroom - & this booking was a shared arrangement. Fortunately for us, the other room booking fell through, and we had the bathroom to ourselves - and it was an excellent bathroom. The hotel reception was the counter staff at the attached café. Even though they recognised us as hotel customers, sometimes we had to wait a long time while they took orders and made coffees, before they dealt with our sometimes quick questions. It would be helpful, if they asked hotel patrons quickly what they were after, and then make a decision as to whether the query could jump the queue, or whether it had to wait after the other person was served. A wonderful breakfast before leaving. Very well furnished with quality items. Extremely clean. Near the centre of everything . Charming owner & host (Claus).